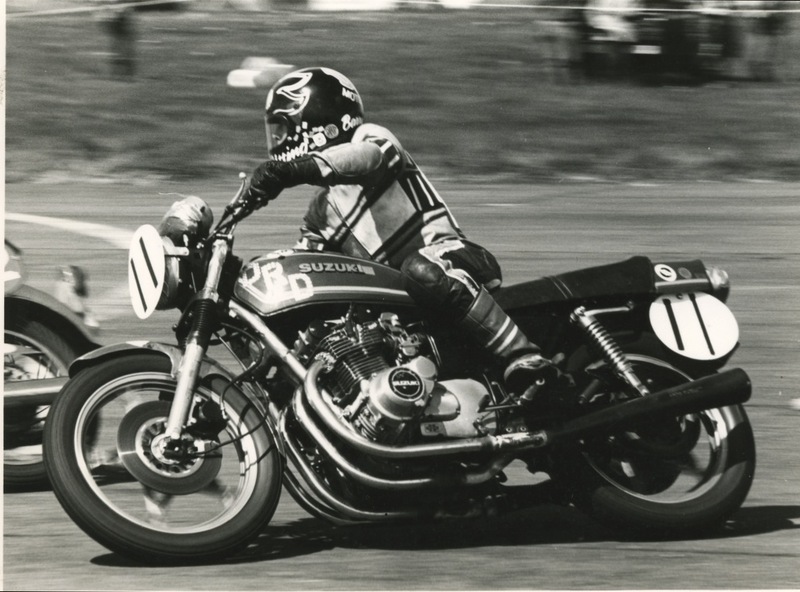 Racing History - Penrith Motorcycles Ltd.
Barry Utting started racing in July 1980 at the age of 17 on a Suzuki 250 X7 production racer supplied by his employer, Derek Hannant, of DRD Motorcycles in North Walsham, Norfolk with much help and guidance from Charlie Walpole. The next year Barry raced on the same bike – he didn’t win any races but achieved many second and third places against what had become the more dominant machine – the Yamaha RD250LC. Barry then raced a Yamaha TZ350H end of that year and into the next season. The machine was supplied brand new from the famous John ‘Moon Eyes’ Cooper and again sponsored by DRD Motorcycles. Barry achieved a number of wins at Snetterton, Cadwell Park, West Raynham, including winning a National race at Snetterton. Barry also achieved a lap record at West Raynham. Then came a sponsorship deal from Decorite who sponsored a 250 Waddon under the watchful eye of Mick James for a season. Barry finished runner up that year in the 250cc Marlborough Clubman’s championship to Martin Rice. Next followed a couple of years where Barry scaled down the racing in order to buy a house and start a business – Crown Motorcycles – in Newton St Faiths, Norfolk, but he still had occasional rides on a variety of machines including a Yamaha TZ500H, very kindly supported by Mike and Hilary Smith. Unfortunately Barry had a fairly major accident on the TZ at Snetterton causing the machine to require extensive repairs, though the rider was uninjured. Barry also had a win at the West Raynham 500km endurance race on a Yamaha RD250LC owned and co-ridden by John ‘Rooster’ Pearson. Although they had crossed the line in second place, it was deemed that Stan Stephens and Bob Farnham’s RD250LC winning machine was far in excess of the 250cc limit for the class. Therefore the win passed on to Barry’s team. In 1988 Barry moved to Cumbria with his first wife. He started up Penrith Motorcycles in 1991, buying land on Gilwilly Industrial Estate and with Gavin Brown built the workshop/showroom from which the business still operates some 20 years later. For the next few years Barry worked hard to establish the business and racing took a back seat until while spectating at a meeting at Cadwell he noticed the Early Stocks class for air-cooled twin shock machines and, as he still had a Suzuki X7 in the shed from years before, he decided to campaign that machine in the class. Barry had a few seasons running at the front of his class in the mid 90s, winning the championship a number of times. Subsequently Barry ran a Yamaha TZ 250 at occasional club meetings at Croft. Towards the end of 2001 he purchased a 2000 TZ 250 and with much help from Anthony Byers successfully competed in the MRO series – still possibly holding the 250cc lap record at Croft with a time of 1min 26.9secs. In 2002 Barry competed in the Manx Grand Prix in the Isle of Man on a Yamaha R6 kindly loaned by Henry Bell from Shap. Finished with a creditable 10th place in the newcomers race despite very little course knowledge. Between 2009 and 2011, Barry competed in the Thundersport GB Road Race series on a 2001 Honda CBR 600FS in the Streetfighter B class for up to 600cc unfaired machines with a 95BHP limit at rear wheel. In 2009 he finished 2nd in the championship with no crashes at all. In 2010 he won the same championship with just one mishap at Brands Hatch (not his fault!) which meant a quick rebuild of the bike between races. In 2011 Barry again won the Streetfighter B championship with a healthy points lead and gained a creditable 2nd place in the Streetfighter Xtreme combined classes league. Barry enjoyed his racing over many years but retired at the end of 2011, however he still has an old CBR600 racebike in the shed… so you never know!